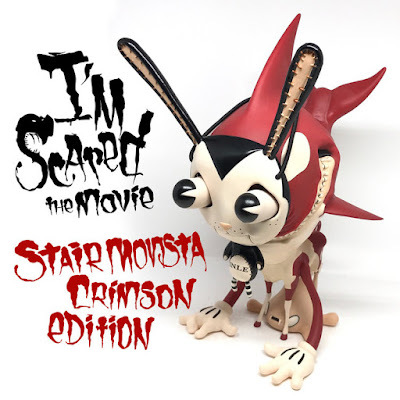 In conjunction with his epic solo art show “No Strings” at KP Projects Gallery, Greg “Craola” Simkins has released this killer Crimson Edition Stair Monsta vinyl figure (from his stop-motion animated short I’m Scared: The Movie)! 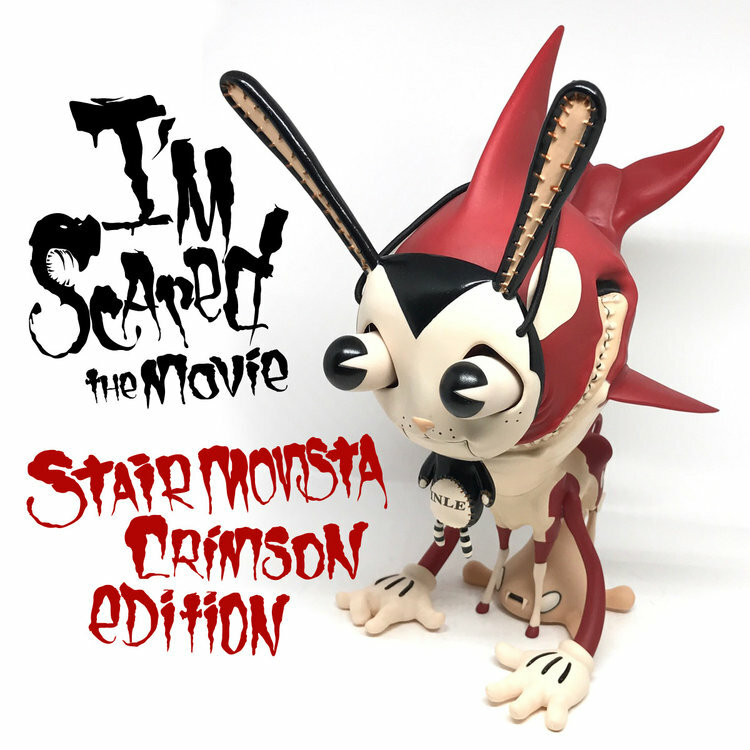 Produced by 3D Retro and sold exclusively at KP Projects Gallery, the Crimson Edition Stair Monster stands 10” tall and features a red, white and black color scheme. This super detailed figure is limited to just 100 pieces and comes packaged in a window box perfect for display. Collectors can purchase one now at KP Projects for $150.